Sophia & Austin. . Wallpaper and background images in the sophia bush club tagged: sophia bush 2011. 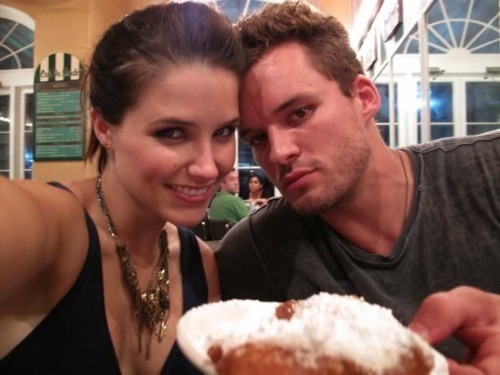 This sophia bush photo contains desayuno tardío and brunch. There might also be tocino y huevos, descanso para tomar café, rotura de té, pausa para el café, pausa para el té, coffe break, pausa de té, almuerzo, comida, fiambrera, dejeuner, and tiffin.